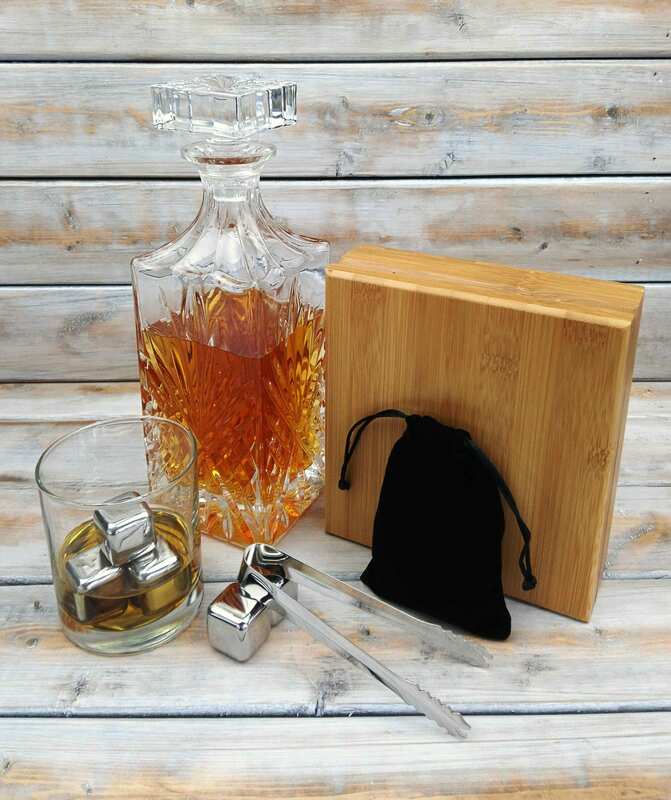 This personalized Whiskey Stone Gift Set is a one of a kind gift, perfect and suitable for any occasion. 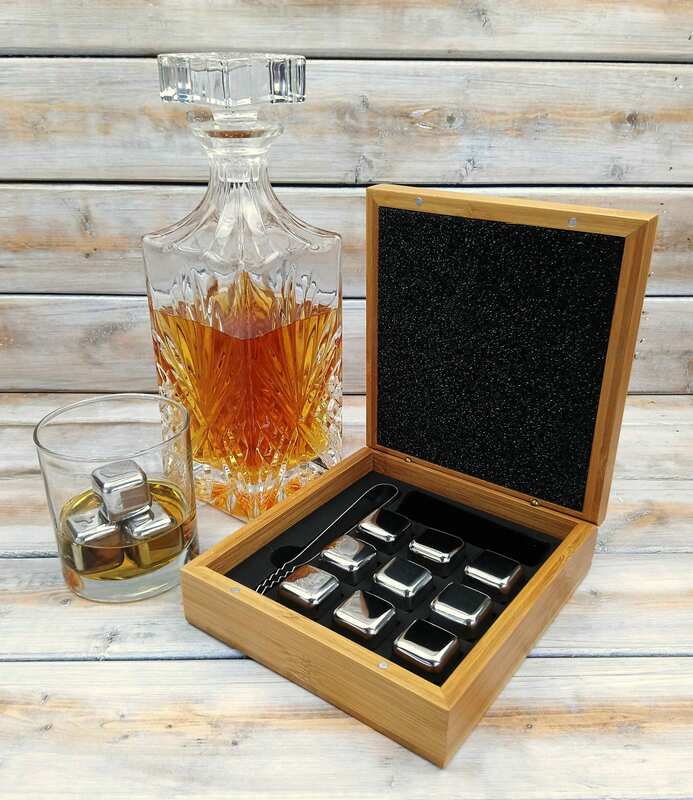 Perfect for Christmas, Fathers day, Groomsmen, Weddings, Birthday, etc. 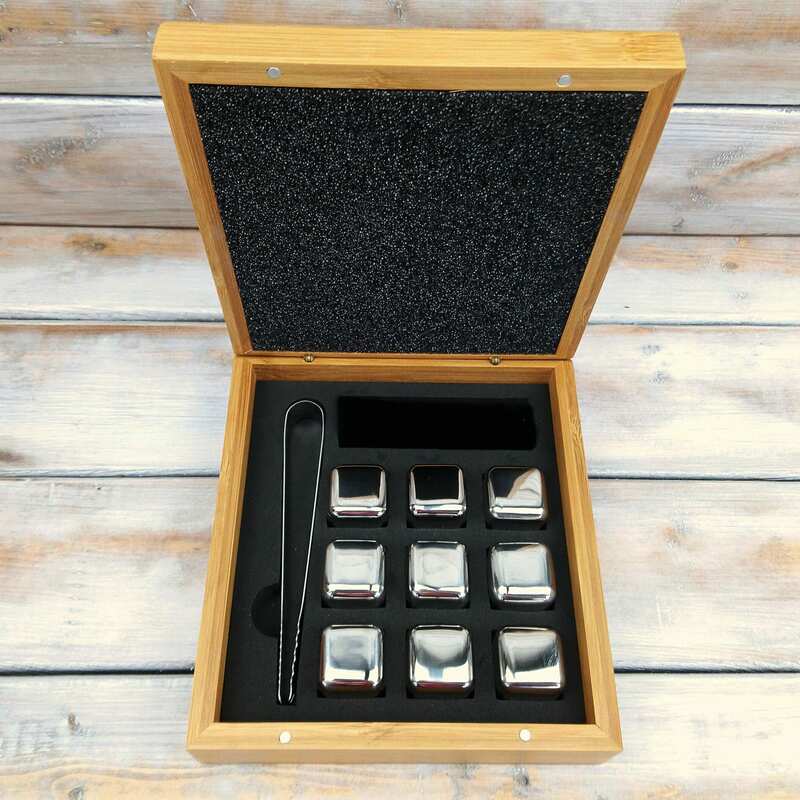 Great to complement Bar or Man cave. 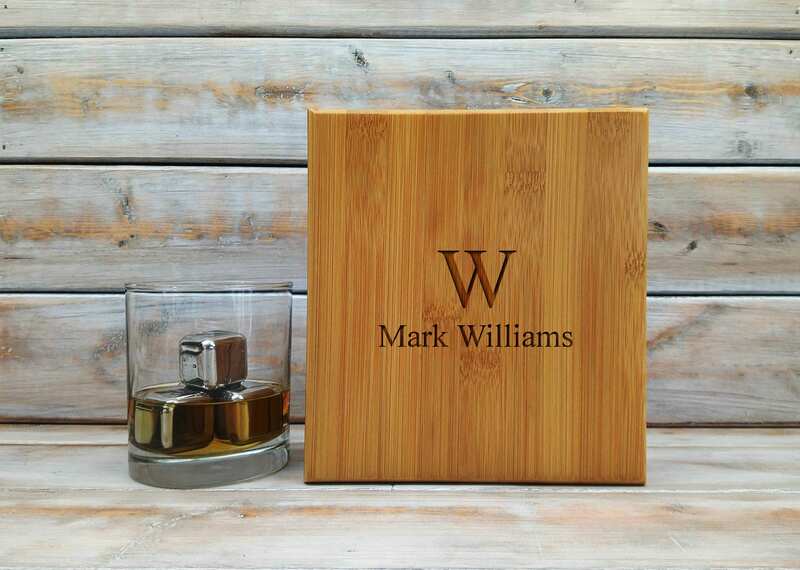 You can have this gift set Bamboo Case Personalized with any initial and, a name and last name. 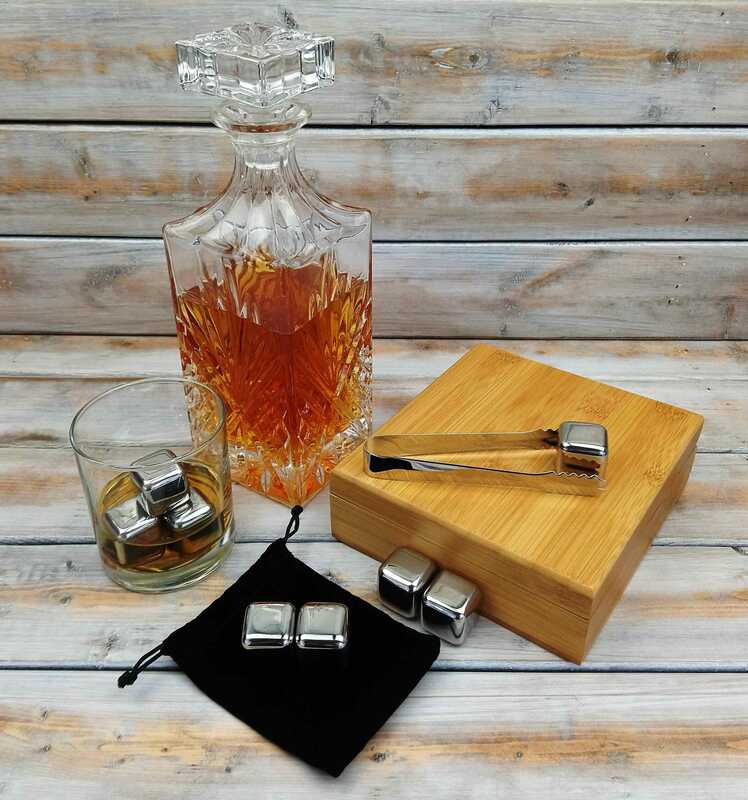 This stainless steel stone set is for the real whiskey drinker. Ice melts and dilutes your drink killing the whiskey flavors. Stainless Steel Stones are the perfect solution for this problem. Have other design logos in mind? contact us for more info.